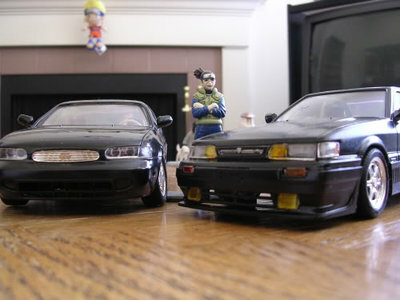 In 2005, I got my first JDM package. 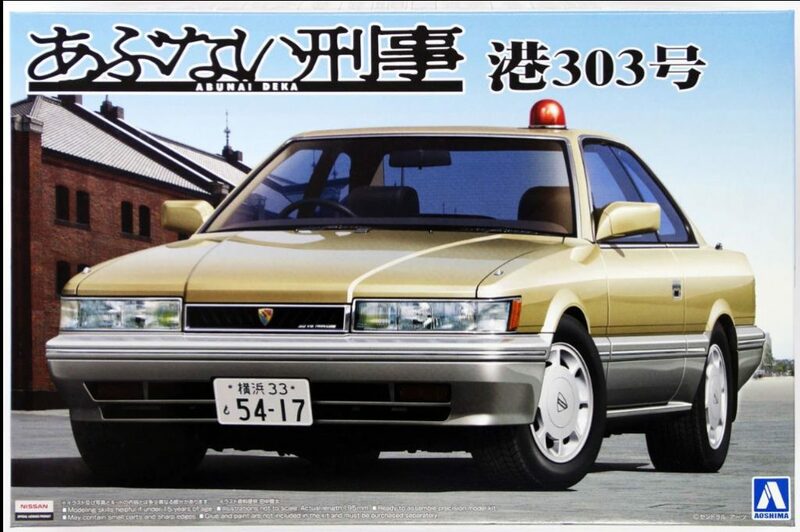 My friend Mege-san had gotten stuff for my M30 on YAJ. 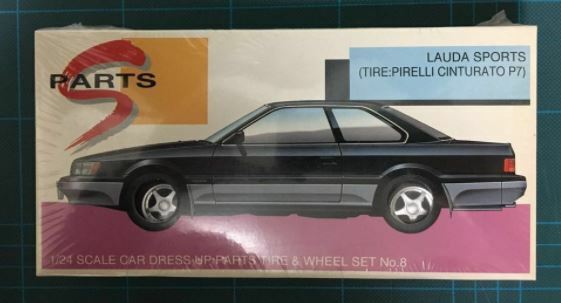 Part of the package was a 1/24 S-Package Nissan Leopard. 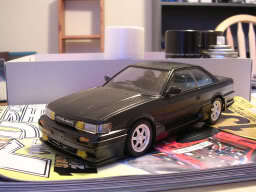 After that, I posted on the forums and Jacy posted he had gotten a model as well. This is when we decided to make the multimedia section. We didn’t know much, but we knew there wasn’t a whole lot of F31 models. 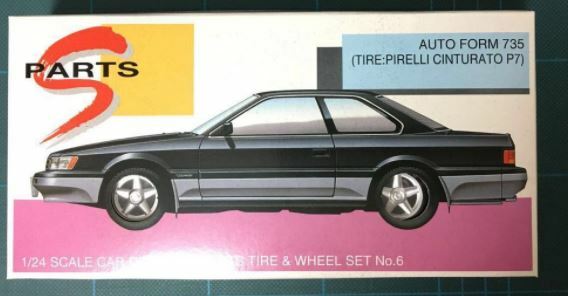 What was kinda infuriating is that Fujimi and Aoshima offered Infiniti Q45 1/24 models only. 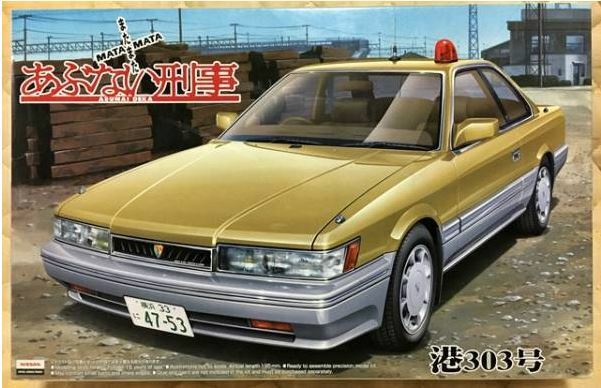 NEVER Infiniti M30s. I decided to make that one post all about 1/24 scale models. Completed ones and what was available. Even though it was 2005, the little information out made us feel the we were behind in all aspects for the M30. 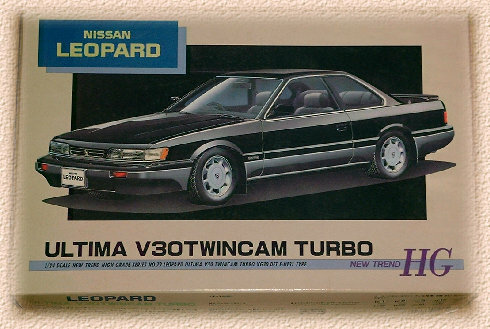 We hoped that there was an Infiniti M30 scale model. 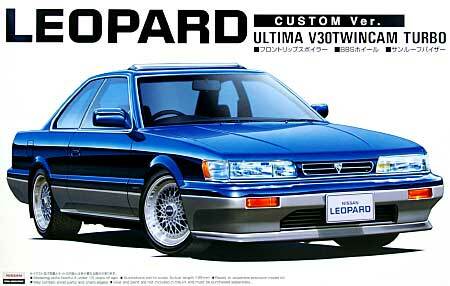 Eventually found out that the M30 GOT NO LOVE. So I started to search for scale models and posted them on that thread. To our surprise, there was quite a few and not only that, “modified” versions!!! Started in March 20, 2006!!! 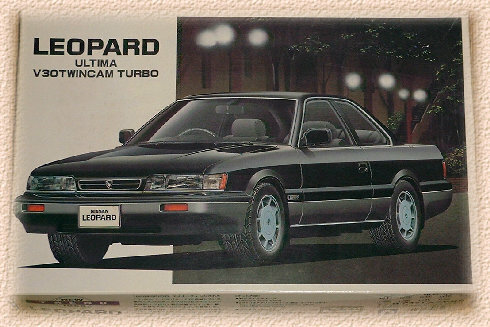 I tried to build the S-package Leopard as I would envision my black M30. In the trips that I had in 2016 and 2017, the leopard brothers have given me leopard models! I’ve been on a warpath getting them. 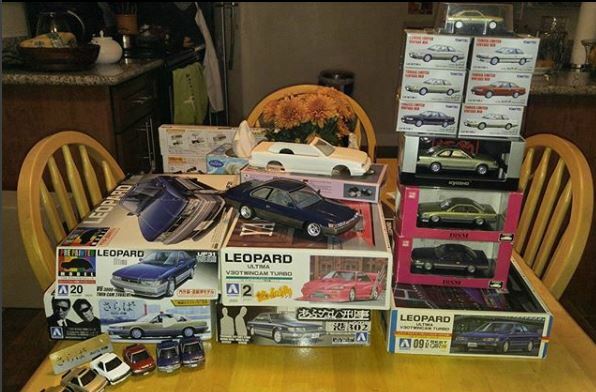 I had bought Midnight Star, Street Gear, billet mask, slit mask and 4 other “normal” leopards. I’ll post what I’ve seen so far. Just like anything else, people love the box art. 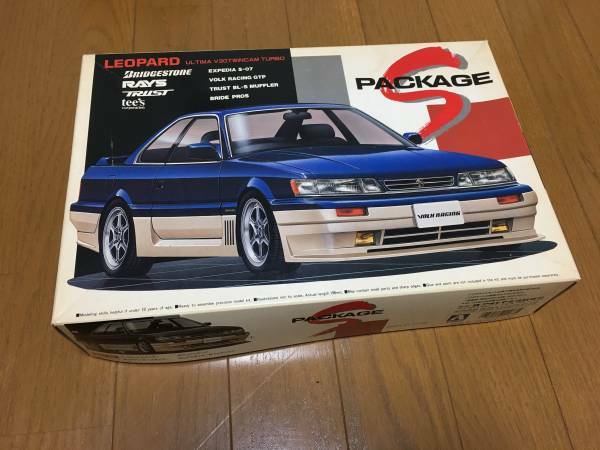 S Package by Aoshima. This was my first model. I wish I kept everything. 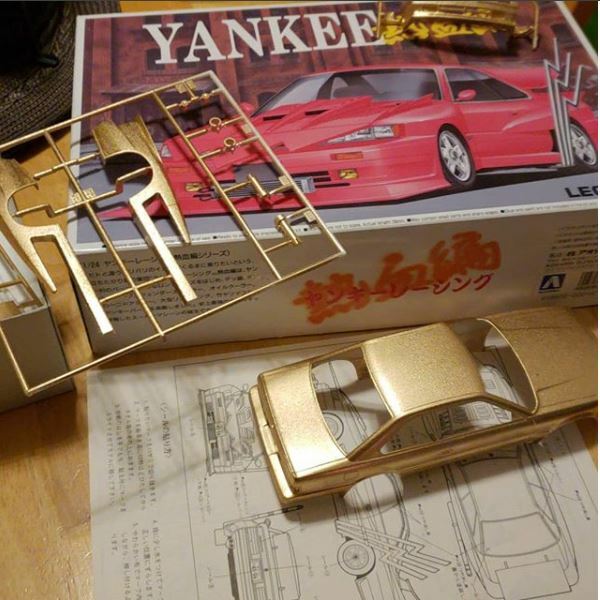 The box are was pretty clean and the model was great. Mid Night Star by Aoshima. Typically the same aesthetics as the previous. 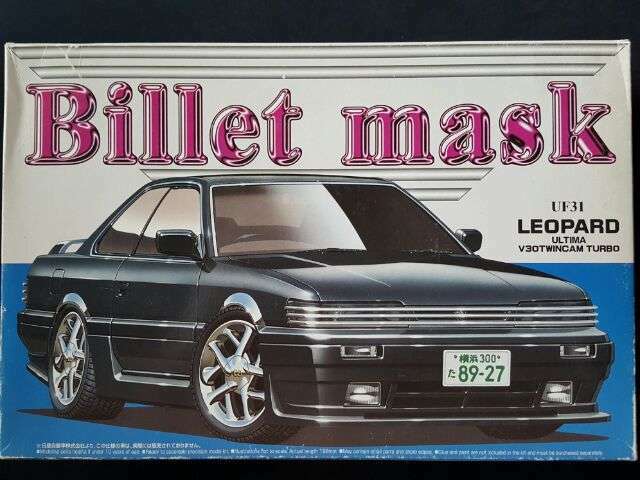 Billet Mask by Aoshima. I never used to like this model and I passed on it many times. I finally decided I need to get it and just have in my collection. Looks some l same aesthetics, but different wheels and of course the obvious, headlight masking. Street Gear by Aoshima. Same aesthetics, but the rear wing is different and appears to taller. Same bumper with fog lights. VIPcara by Aoshima. Same bumpers, but rear spoiler and grill appear to be different. VIP Blister Style by Aoshima. 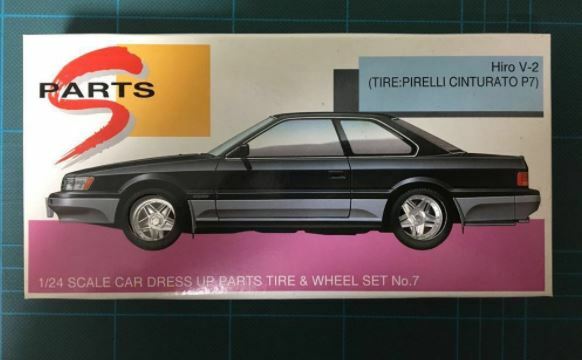 This kit has a front and rear quarter widebody fenders. Spoiler is different as well. 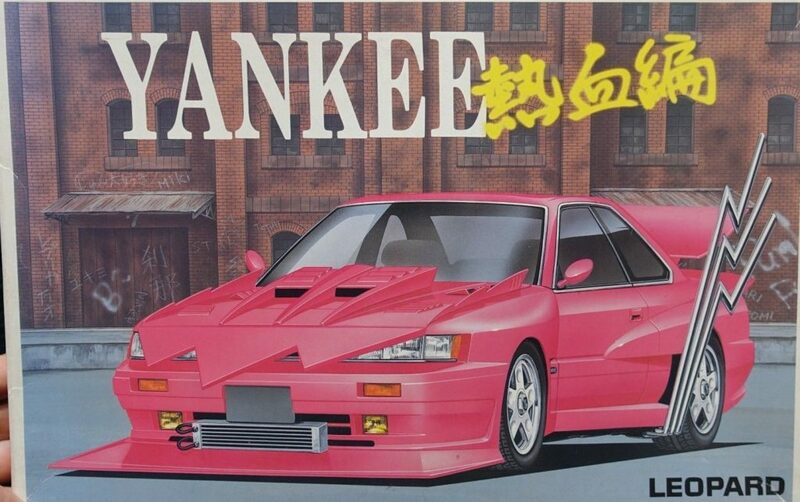 Yankee Street Gang by Aoshima. 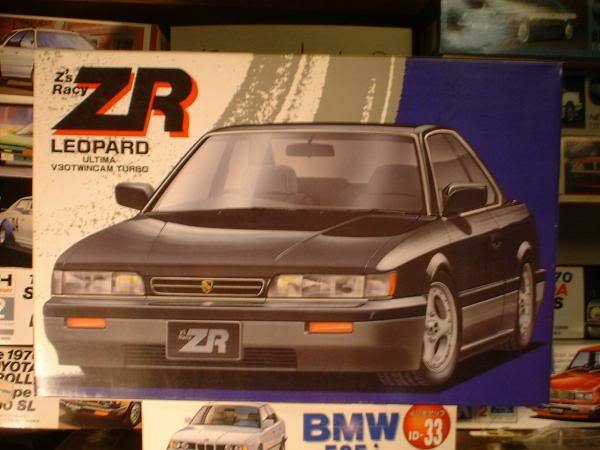 This is obviously the wildest F31 model out there. 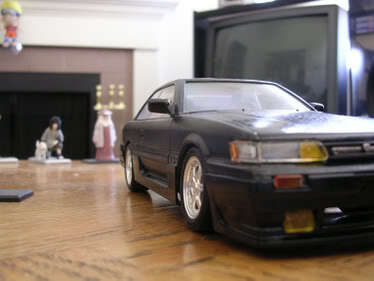 I LUSTED for this model for the longest time. I was finally able to get one last year. 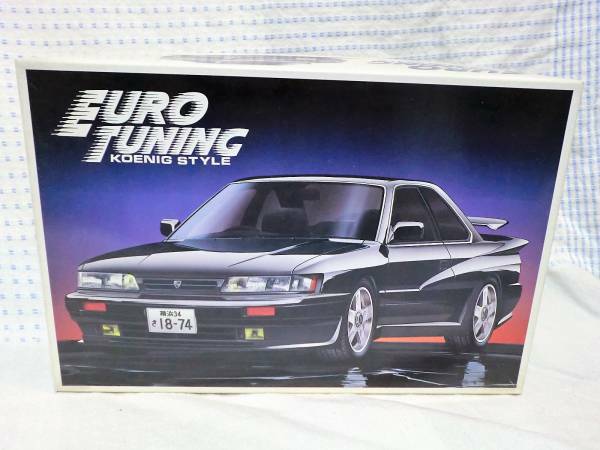 Euro Tuning Koenig Style by Aoshima. 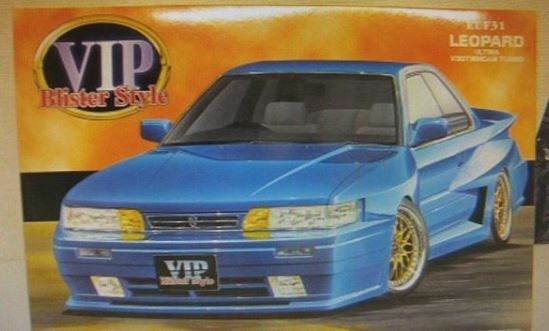 Similar to VIP blister style, but it has a Koenig spoiler. Z’s Racing by Aoshima. A simple clean model. 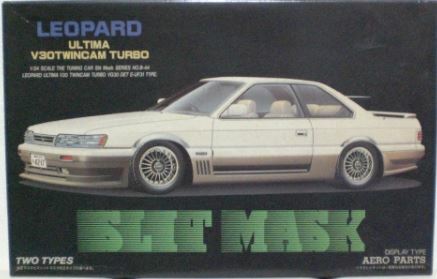 Slit Mask by Aoshima. This is an older model and I don’t think I have seen it until last year. 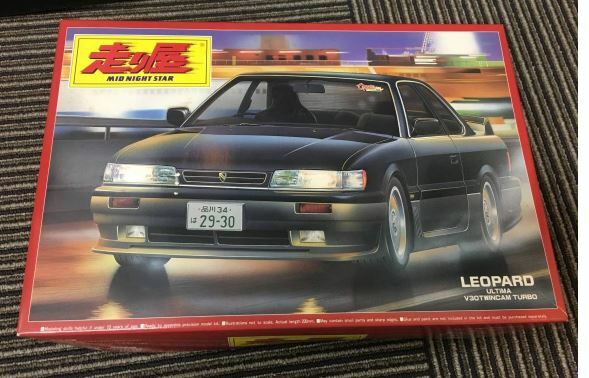 I have one on the way from Japan. period correct items, but most interesting is the boomerang antenna. 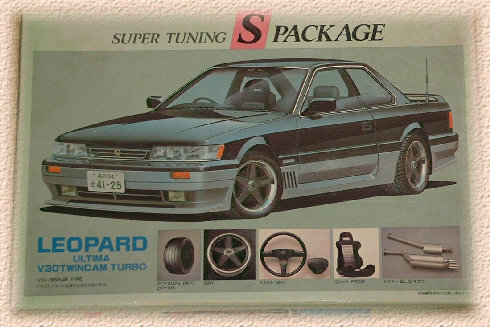 Super Tuning S-Package by Aoshima. This version might be older. 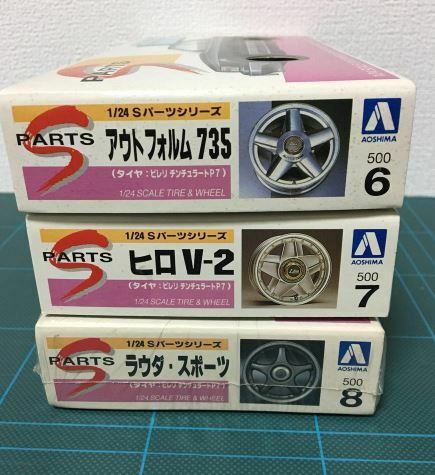 S Package: dress up parts Tire and Wheel sets. 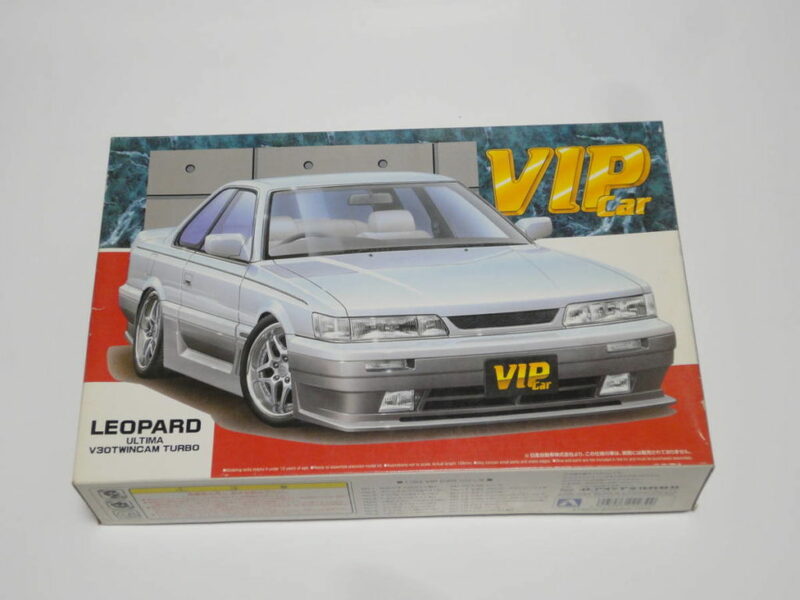 The box art uses the F31 leopard with a cut out to display the wheels on how it would look. 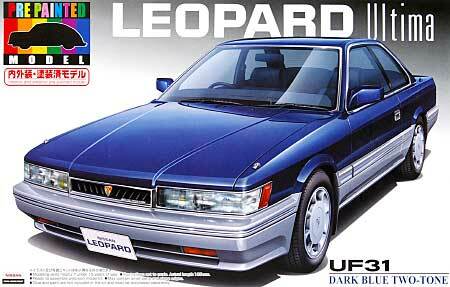 There are also a plethora of “regular” Nissan Leopards. 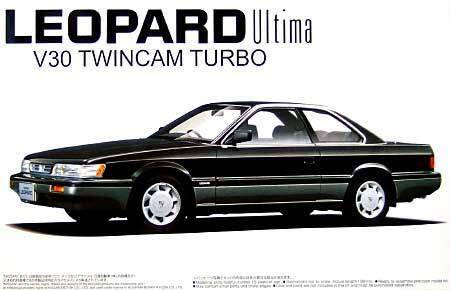 All the models are of the Ultima. I have not seen any XS or XJ (bumper is different) available. 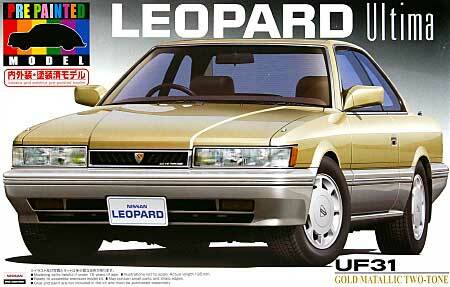 Here is a picture of one of the leopard models I was given as a gift. 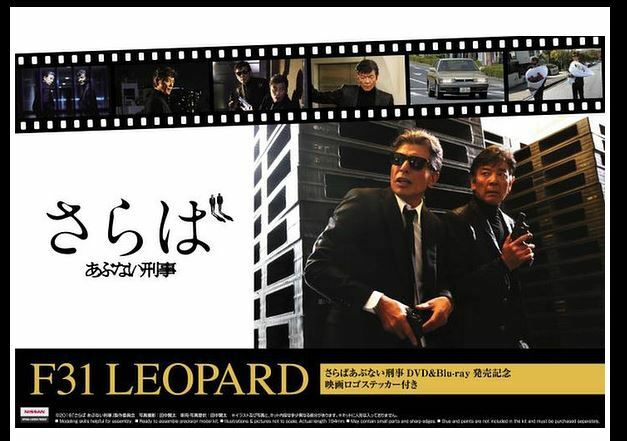 It is kouki leopard. It was produced by Aoshima. Background displays the a bridge at night. 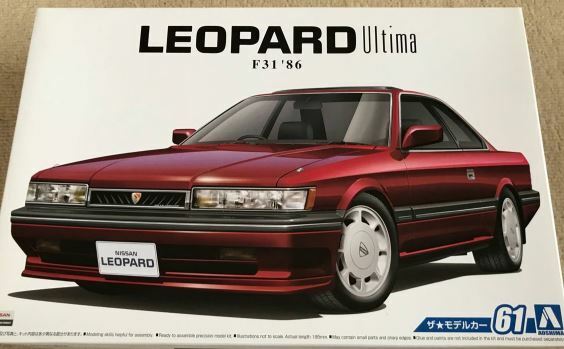 Here are more Leopard Ultima models. 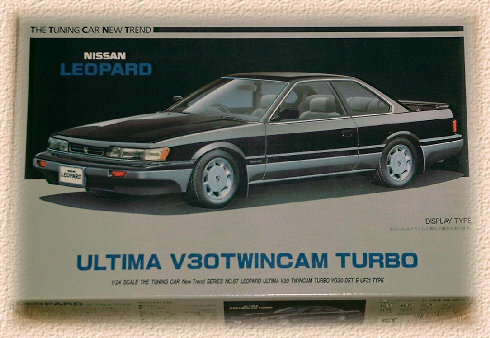 I feel the one that has “The tuning car new trend”, is an older model. I believe these are newer based on how the imaging is cleaner and there is no cool box art. 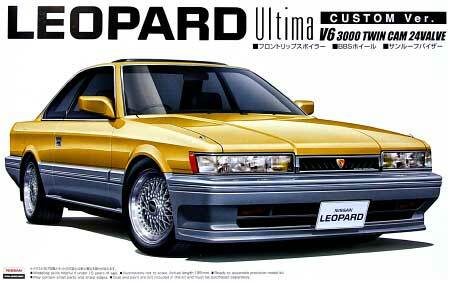 This model mentions “Custom Ver.” and I don’t know what exactly that entails. Is it he lowering, BBS rims and front lip? Or is this one of those models that the hood can be opened and there is an engine. There are some pre painted models. 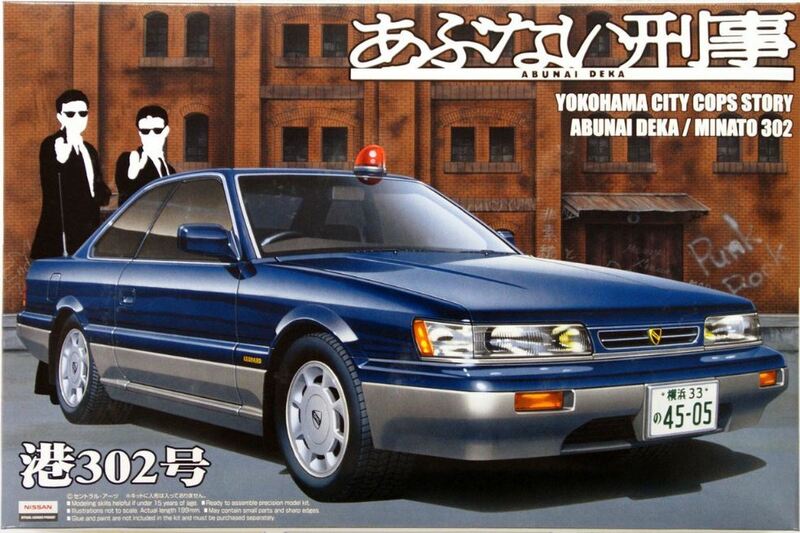 Abunai Deka models. 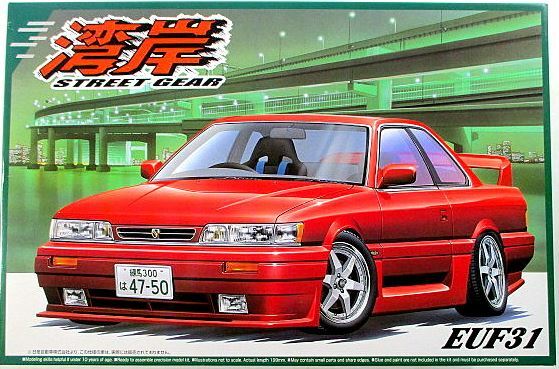 Abunai Deka helps spike the interest in F31s, especially in Japan. 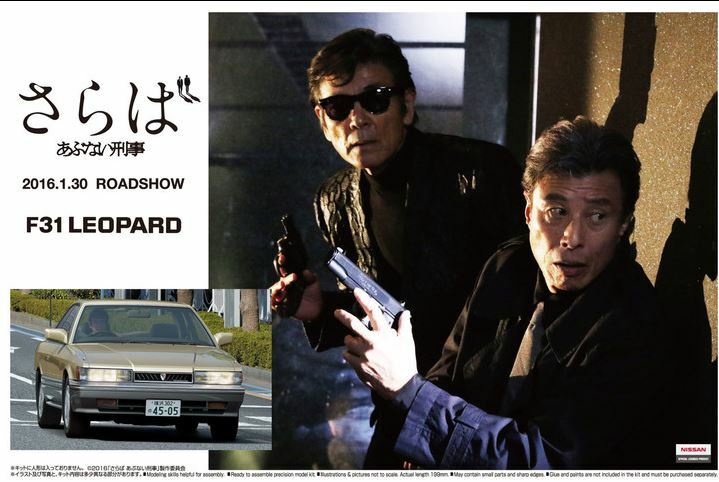 Many people are fond of the Nissan Leopard is because of the show. Since 2016 with the farewell movie, there have been a few made. 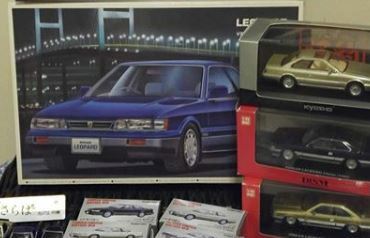 This entry was posted in abunai deka, magazines, scale model and tagged 1/24, aoshima, fujimi.